A few months ago my good friend Lisa gave me a cooking challenge. She had a recipe for some yummy wraps that used to be served at the Tahitian Noni Cafe. When the cafe closed she and her friends asked the manager if they could get the recipe for the wraps. The manager kindly handed them the recipe, but it was written in bulk format and half the recipe was in ounces instead of traditional measurements. So Lisa asked me if I could cut the recipe down to a family serving size, as well as convert the measurements. Well...challenge accepted, and challenge completed. It actually wasn't too hard, just required a scale and a little math. It's a good thing I have always been good at math...spelling, not so much...but math has always been a strong point. 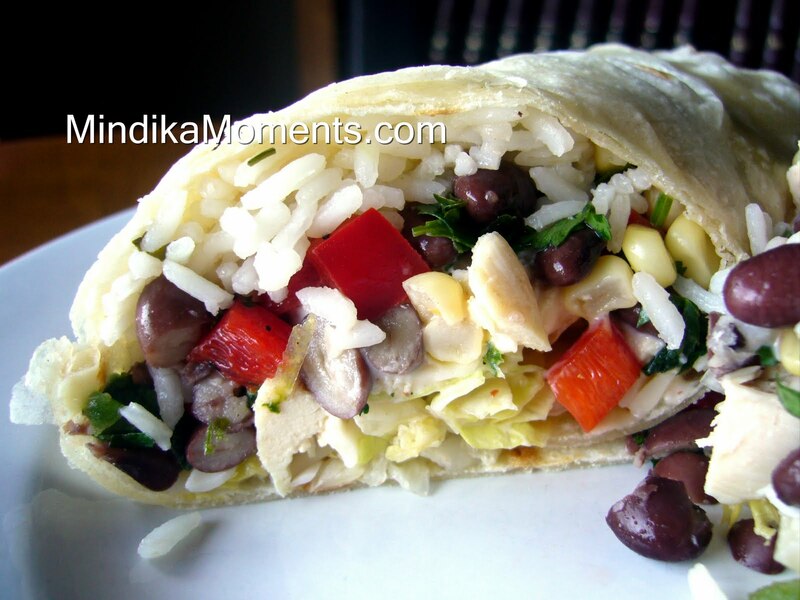 So if you were also a fan of the Pareo Chicken Wraps at the Tahitian Noni Cafe, today's your lucky day! I hope you enjoy. * I actually used just a regular tortilla for my wraps, but I'm sure the Tomato Basil tortillas would be awesome. Also the Chipotle Ranch dressing makes quite a bit, but I couldn't really reduce it by much more. So you will have extra, however we have been using as a dip for corn chips and veggies and it's yummy...so I'm not complaining. 2. Wrap the tortilla tight, tucking in each end. 3. You can eat fresh or place on a George Forman grill for about 2 minutes. 2. Add the mayo and sour cream. Blend on high again for a few second. * I use these peppers as well as the Adobo sauce in quite a few recipe, so when I open a can I divide it up into small ice cube trays and freeze small potions. I never use a whole can at a time. This sounds so good! I think I am going to eliminate the rice and try everything else as eggroll fillings! Thanks for the inspiration!